Scope: WordPress based website to serve over 6,000 members of the Jaffari Community Centre. 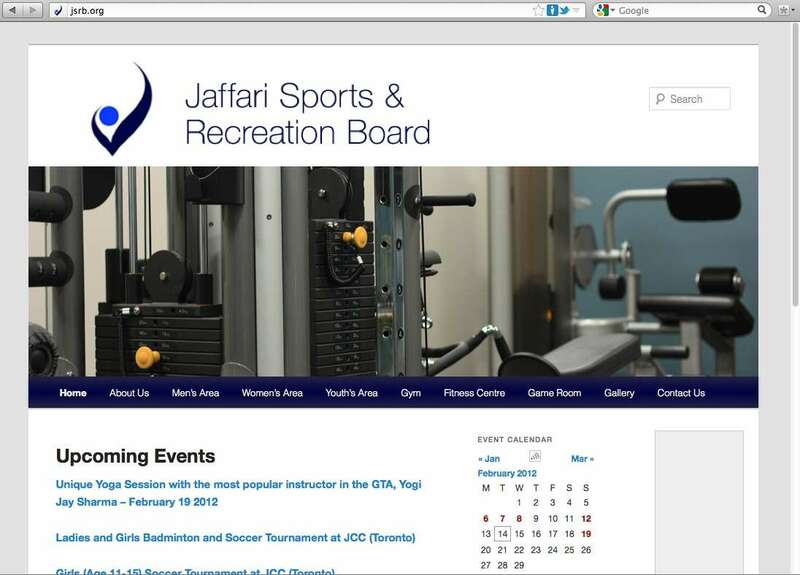 The Jaffari Sports & Recreation Board uses the site as a platform to disseminate news and upcoming events. Features: Image gallery, contact form, rotating advertisements, rotating header images, events calendar, and news feed. Custom PHP coding and WordPress is used to allow administrators to easily update any part of the website while maintaining branding standards.